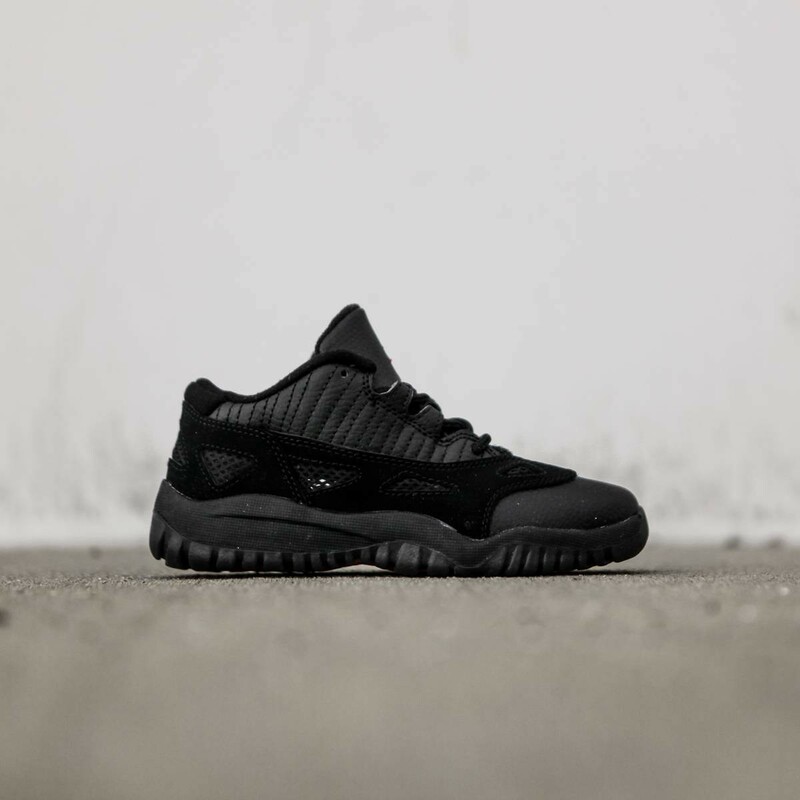 The Boys' Preschool Air Jordan Retro 11 Low Basketball Shoe is back and better than ever. Constructed of a leather and mesh upper, this sneaker is breathable and light for performance on or off the court. Speed lacing with leather gillies gives him an even better, stay-put fit, which he'll appreciate as he's tearing up the court. A PU midsole and carbon-fiber spring plate offer impact protection as he plays. A patent leather toe-cap and low-cut silhouette round out these performance powerhouse sneakers.